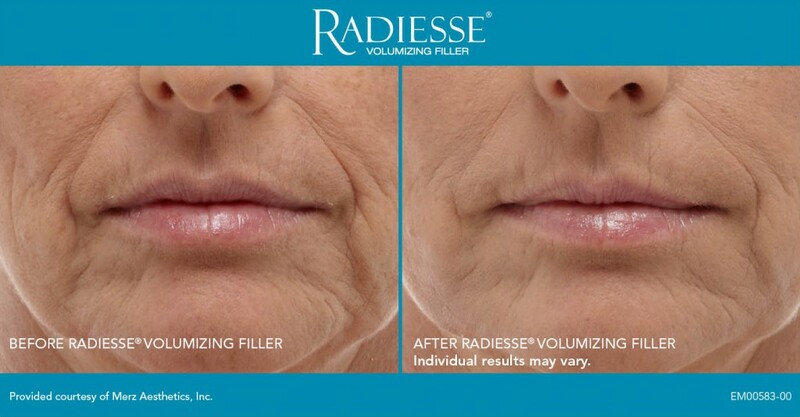 Radiesse is a dermal filler injection that consists of calcium hydroxylapatite suspended in gel. Radiesse is injected just under the skin’s surface to reduce the appearance of facial lines and wrinkles and improve contours by creating a lattice where the surrounding cells can be incorporated. Immediately after the treatment, there may be slight redness, swelling, tenderness, or itching in the treated area. If the discomfort continues or if other reactions occur, you should always contact your practitioner. 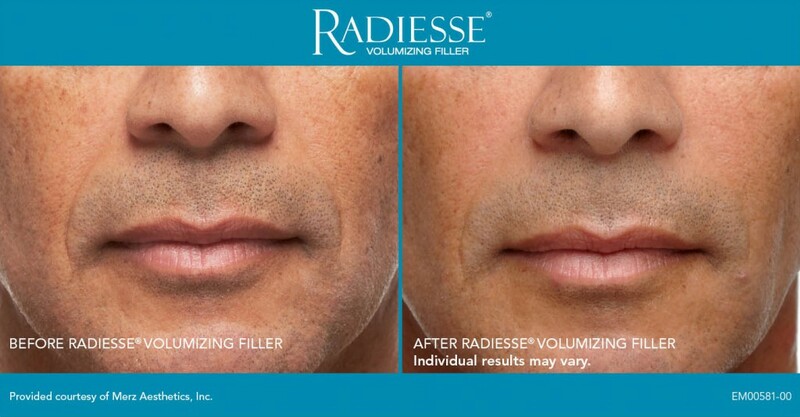 The results of facial rejuvenation treatment with Radiesse often last a year or more. $500.00 for second syringe on same treatment day. Please contact our practice to schedule an appointment or for questions you may have about Radiesse.